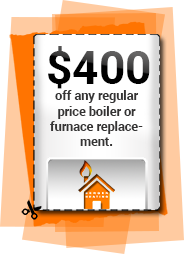 $400 off any regular price boiler or furnace replacement. We can’t control the weather, but we can control your comfort. Bergen Local Favorit Hvac Contractors & Heating Company. We Simply Care About Your Comfort! Because of unmatched commitment to our customers, our 27/7 customer service and a full array of heating repair solutions in Bergen County NJ, we can handle any calls and any emergencies in only 24 hours, be it from existing or new customers. If you are searching for new heating contractors, either because you just moved to the area or because you are willing to switch from your previous provider, we have the skill, expertise and experience needed to handle your heating issue and resolve it with ease. We provide a wide range of residential heating repairs and service for home owners different sorts of habitats, including; family homes, old homes, apartment buildings, condos and more. Home heating services includes; emergency heating, heating system installations, repairs and maintenance, heater repairs and installations. Boiler and furnaces major brands installations, repairs, maintenance and replacements. Oil to gas heating systems conversions; new home heating technology, cleaner for your home and the environment, better energy, cost efficiency and performance. Our commercial heating & hvac technicians are dedicated to always innovate and provide the most efficient and durable heating solutions for wide commercial locations in Bergen county and all over Northern NJ, such as department stores, super markets, malls, sport centers, office and government buildings and health care facilities just to mention few. We install, maintain, repair and replace major known commercial heating systems, including; roof tops and outdoor units. Call us today to learn more about our services and options (201) 994-1100 THE ESTIMATE IS FREE! Licensed, insured & NATE certified. Replaced a whole heating and ventilating system for my house. This wan’t easy due the large size of my house and the number of houses, but they did it right. These technicians are on the top of their trade and have good manners. I’d recommend them to family & friends. Thanks. © Heating Bergen County NJ. All Rights Reserved.